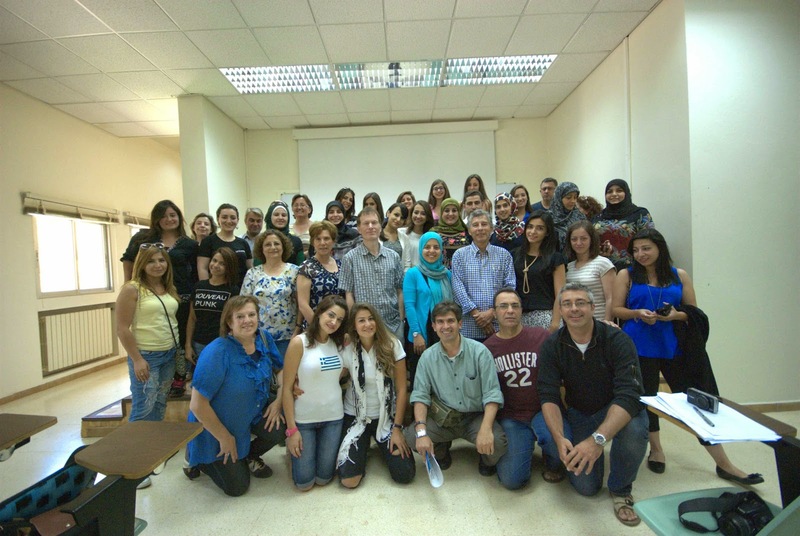 The 7th regional Professional Short Course in Nutrition in Emergencies was run by the American University of Beirut (AUB) in Lebanon, from 7-18 June, 2014. Due to the ongoing emergency in the Syria region, this was a specially adapted course, designed to meet the need to train participants in a shorter time and larger numbers. The course was designed in close consultation with UNICEF, who also sponsored it. Congratulations to the thirty five participants who successfully completed the 9 days of training. Eight participants were from UNICEF and local NGOs in Syria, and the remaining were from Lebanon and came from various international as well as local institutions: UNICEF-Lebanon, World Food Programme, UNRWA, International Orthodox Christian Charities, Action Contre la Faim-Spain, Relief International, The Association of Volunteers in International Service-USA, UNHCR, The Lebanese Red Cross Health Center (Chieh), Imam Sadr Foundation Health Center (Chehabieh), Amel Association (Bazourieh),and Save the Children. The course took place over 9 days, with 7 days of classroom based learning and 2 days of field exercises, including an emergency simulation. More photos from course will be posted soon on the NIERTI facebook page.